Toyota Closes Booking of Xli and GLi – Vios 2018 on its Way! There were rumors surrounding for last few months that Toyota closed booking Corolla Xli and GLi cars and going to replace them with Toyota Vios 2018. According to the news, Toyota is currently clearing the existing stock of these cars which they already booked and not going to make new stock and stops its new booking. There is a limited edition of Corrola Xli and GLi and seems like a strategy like Suzuki. The website shows the limited edition and no further bookings of GLi and Xli. 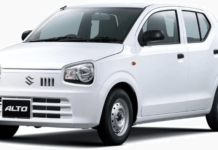 Recently Suzuki stopped booking of Wagon R because they are going to launch the new model of Cultus 2018 and tried to divert the mind from Wagon R which was high in demand. Same is the case with Toyota which diverts is strategy before launching Vios 2018 to compete Honda. Toyota imports the part from Thailand and assembles the cars here in Pakistan so it is expected the Vios to be quite similar to the one launched in Thailand. However, Toyota Vios is a compact size sedan powered by a 1.3L 4NR-FE petrol engine that produces 110 BHP having an option of 7-step CVT or a five-speed manual transmission. The company made the exterior of Vios 2018 more attractive and sporty look. The bumper of the car has Led daytime running lights and fog lamps as well as the foggy weather. Furthermore, the overall interior is just amazing and lavish too. This amazing new Vios model will have all the possible facilities of leather seats, power starring high mount stop lamp, intermittent wipers, reverse camera, infotainment system, automatic climate control, steering wheel controls, rear disk brakes, push start, keyless entry, mirror indicators, LED tail lamps, all four power windows, height adjuster (driver side only), power folding mirrors, Immobiliser, traction control, ABS, EBD, and BA added with the minimum two airbags (driver+passenger).